Alessandra Angelini was born in Rome in 1983. She studied at the American Overseas School of Rome and Liceo Mameli. She earned her undergraduate degree in Aerospace Engineering from La Sapienza University in Rome in December 2006. While at La Sapienza she participated in major research projects designing Formula 1 cars and racing dinghies. In 2013, she began working for Rolls Royce North America designing airplane engines. 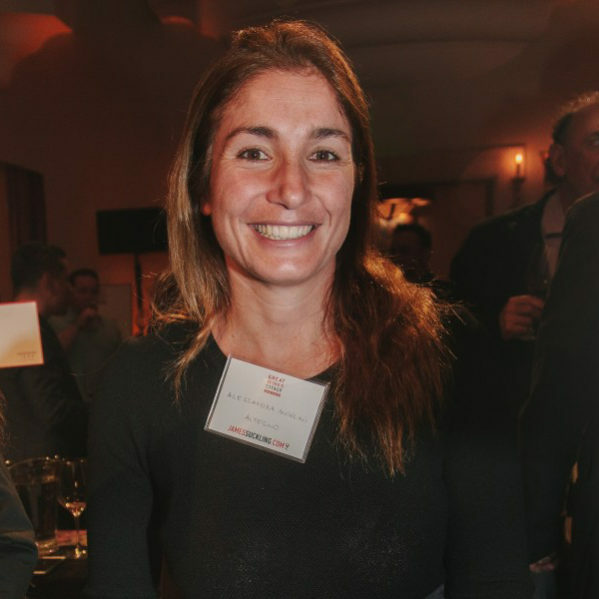 She returned to the family business of wine and hospitality in 2017, mostly working as a brand ambassador and export manager for Caparzo, Borgo Scopeto, and Doga delle Clavule wineries. In addition, Alessandra has been an active athlete since childhood, and in 2008 was a member of the Italian Olympic Sailing Squad.